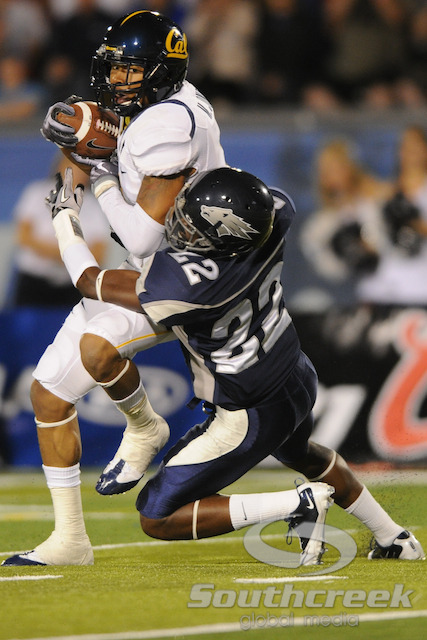 from the start they looked shaky on both sides of the ball. 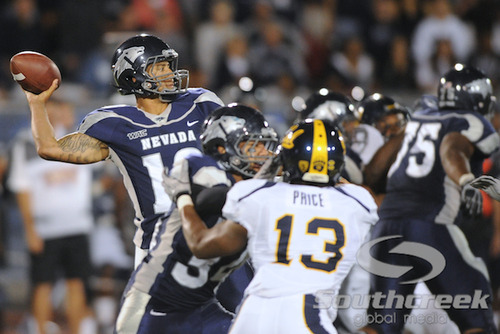 shotgun that allows the quarterback an option to run, pass, or hand off. 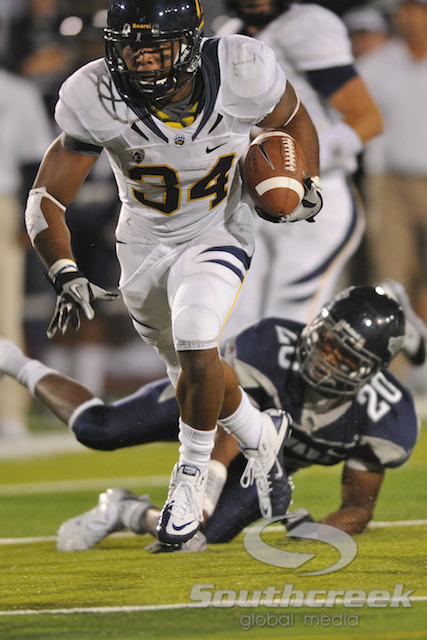 198 yards and 3 TDs. 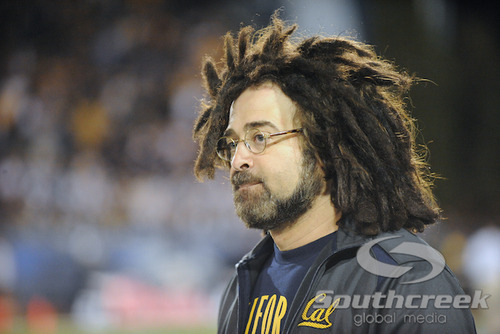 Counting Crows frontman Adam Duritz is always on the Cal sideline. 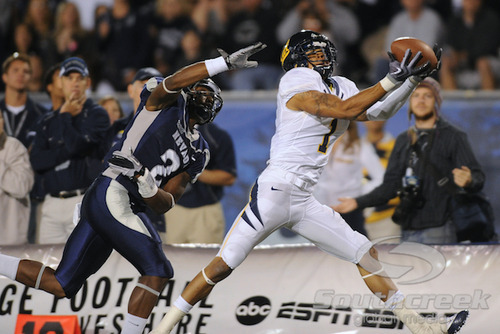 a Cal touchdown, but it wasn't enough. 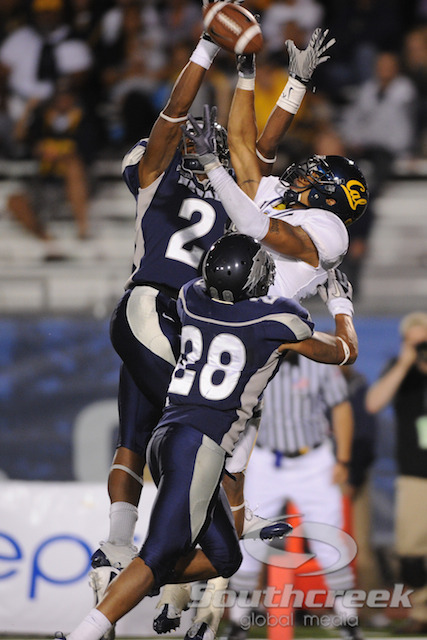 blanket Cal WR Marvin Jones on a failed hail mary. 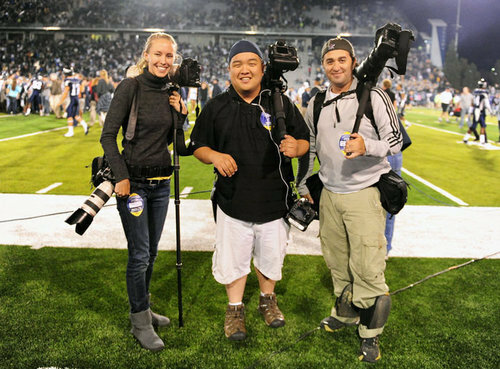 Kelley L. Cox (Cal), Kyle Tereda (US Presswire) and me on the sideline after the game. 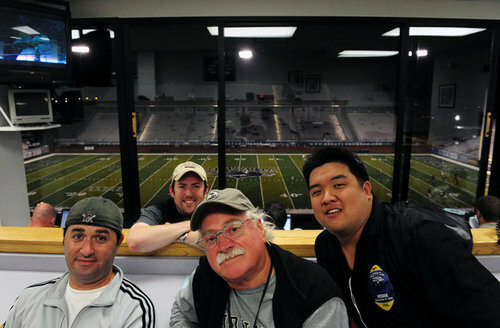 Kyle Tereda (US Presswire) in the press box after we were done transmitting.